Google’s Threat Analysis Group publically disclosed on Monday a critical zero-day vulnerability in most versions of Windows just 10 days after privately disclosed both zero days to Microsoft and Adobe. Microsoft criticized Google’s move, saying that the public disclosure of the vulnerability — which is being exploited in the wild — before the company had time to prepare a fix, puts Windows users at "potential risk." 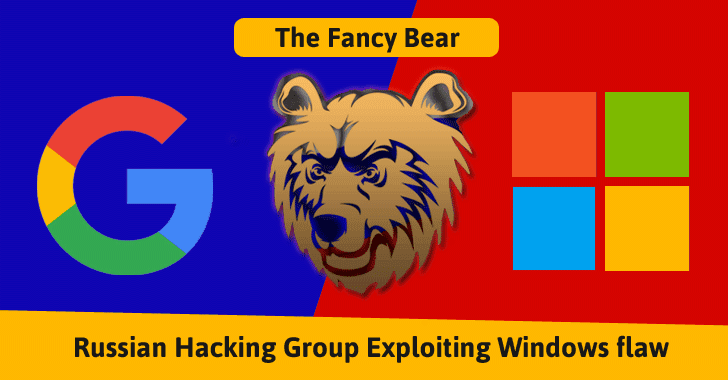 Terry Myerson, executive vice president of Microsoft’s Windows and Devices group, said the flaw was being exploited on a "low-volume scale" by Strontium group, also known as Fancy Bear, Sofacy, and APT 28, in targeted attacks. For more details about the critical vulnerability, you can head on to read Microsoft’s official blog post.